It looks like the diamond formation will be making another appearance in the league game against Reading tomorrow evening as Valencia is still sidelined with a hip injury, and Nani has been ruled out for around 4-5 weeks with an hamstring problem. Sir Alex also confirmed that Rio Ferdinand will be back in the starting line-up. 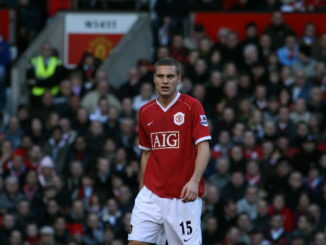 Better news defensively though, Vidic could return to first team action against Cluj on Wednesday, and the boss expects Nick Powell and Ryan Giggs are in contention to play tomorrow, after they recover from a virus and a hamstring strain respectively. “Nani and Valencia are still out,” Sir Alex said. “Nani will be out for four or five weeks. It’s a hamstring injury and you have to take your time with it. Antonio should be fit for next week. He’s got a hip injury, which is painful, but getting better. Interestingly, Nani has been ruled out until January when the transfer window reopens, especially when you add in the fact he was only expected to be out for around 10 days, could he have played his last game for United ahead of a move when the window opens? It’s always nice to have Giggs and Scholes as options from the bench, they are definitely game changers these days and Norwich away highlighted this. Sadly, they cannot compete for the full 90 as they approach the latter stages of their careers.